My eldest daughter is currently learning all about magnets at school. She has become rather interested in this topic and takes great pleasure in sharing her learning at home. 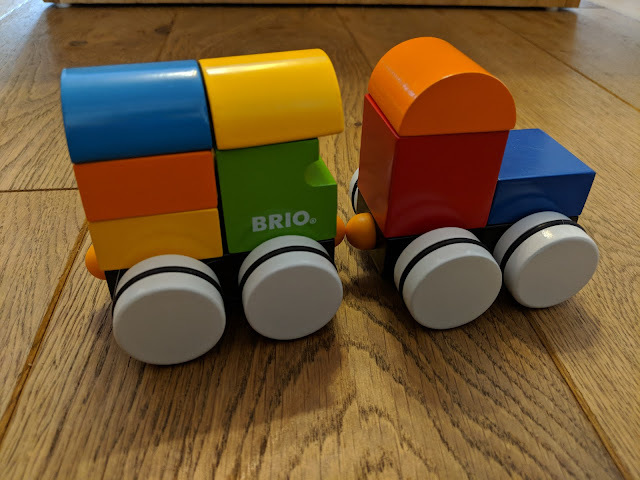 The BRIO Magnetic train has provided hours of fun for both her, aged 7 and her brother aged 2. 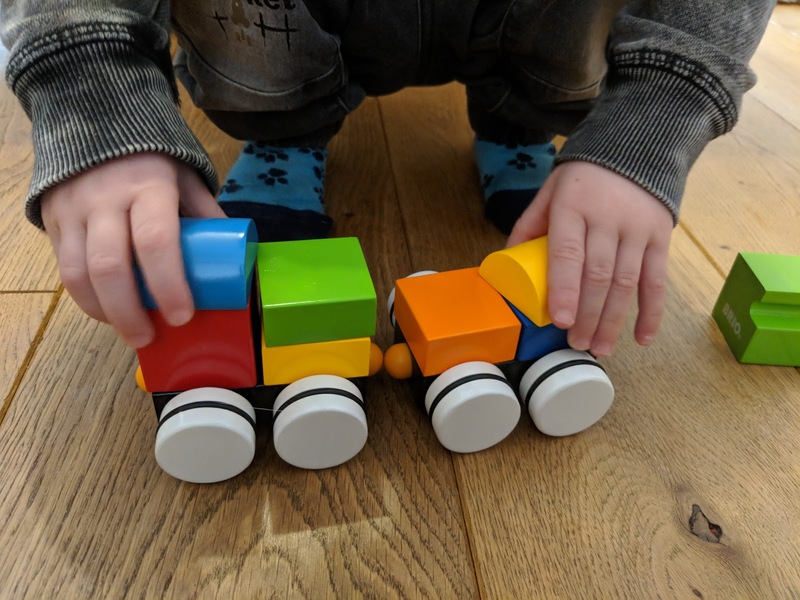 The bright, bold colours of the BRIO magnetic train make it incredibly appealing to my 2 year old son. That and the fact you can build a train. 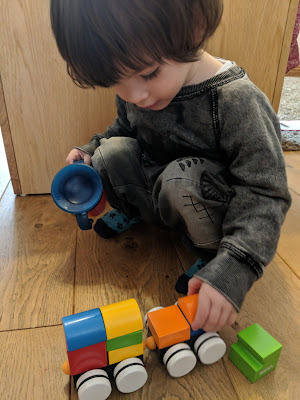 He loves stacking and he loves trains, so it was a clear win. 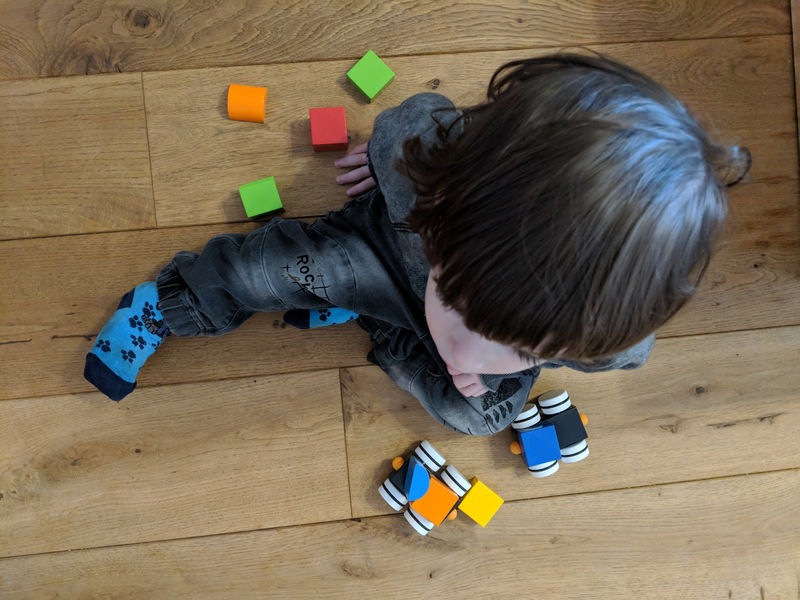 The set consists of two bases and 9 brightly coloured wooden blocks. The blocks are all magnetic and the bases are magnetic on one side. Little Man wasted no time in stacking the blocks on top of the bases to make shapes and of course make a train. He loved unsticking the blocks to re stack them in a different order. 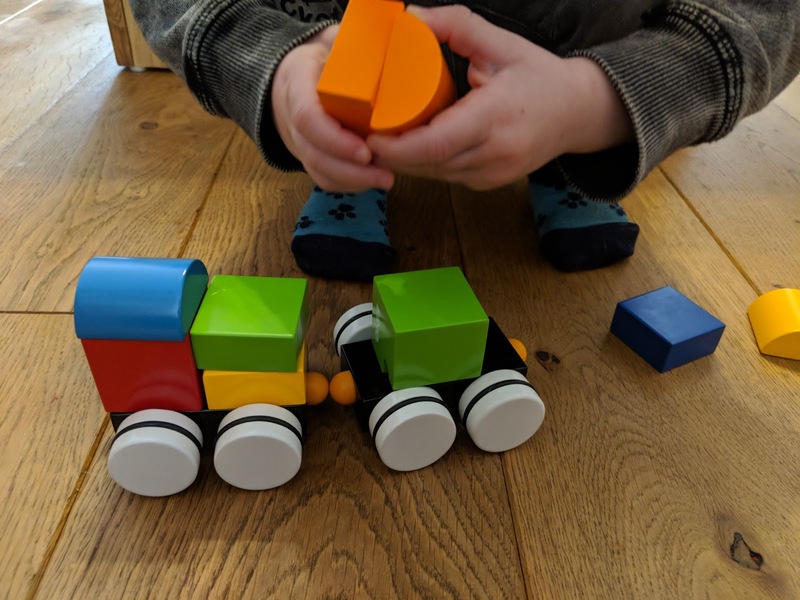 The only limit was the amount of blocks and his imagination. He stacked some tall and some he did by colour. He even had fun sticking the blocks together not on the base. The magnets are powerful enough that you can feel them attracting each other and of course repealing too. Yet they are also weak enough that a 2 year old can pull them apart without any adult help so he can rebuild his train. The BRIO magnetic train is great for imaginative play and also for developing hand eye coordination. 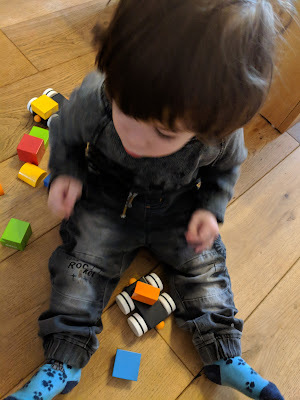 Little Man and I have been using the blocks to talk about colours and explore prepositions too. His big sister has taken great delight in demonstrating her knowledge of magnets that she has learnt in school. Overall the bright colours and chunky wooden design has made the BRIO magnetic train appealing to all my children!